At the turn of the twentieth century, one of the leading causes of death in the United States was lobar pneumonia - bacterial pneumonia caused by Streptococcus pneumoniae. 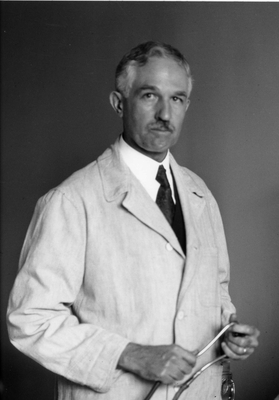 When the Rockefeller Hospital opened in 1910, lobar pneumonia was one of five diseases selected as the focus of the hospital's research program. So urgently was a therapy for this disease needed that the hospital's first director, Rufus Cole, made it his own research priority.